The emerging problem of floating space junk becomes more and more evident and bothersome. Spacecraft and satellites are currently subject to high-speed impacts by more than 19,000 trackable objects, mainly old satellites, spent rocket stages, and fragments from disintegration, erosion, and collisions. There are also several hundred thousand objects the size of marbles, and several million the size of sand grains. Even a tiny piece of debris can inflict considerable damage, or even destroy an orbiting operational spacecraft. A report in 2011 by the National Research Council (NRC) warned NASA that the amount of space debris orbiting the Earth was at critical level. 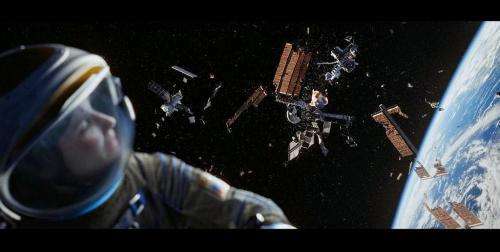 So are we now really close to a disaster induced by space debris as depicted in the blockbuster movie 'Gravity'? William Schonberg, professor of aerospace engineering at the Missouri University of Science and Technology who was the member of NRC committee that filed the report in 2011, warns that the movie scenario can come true. "While the movie 'Gravity' took certain liberties with the laws of physics and certain event timelines, it certainly did wonders to bring the problem of space debris front and center in the minds of many people who may not have known about it," Schonberg told astrowatch.net. "That said, while events may not unfold precisely in the manner depicted in the movie, the general concept of a 'runaway debris collision' event as depicted in the movie might indeed be possible under the right circumstances." The odds for 'the right circumstances' are increasing as every satellite or spacecraft has the potential to create space debris. Any impact between two objects of sizeable mass can produce shrapnel debris from the force of collision. Each piece of shrapnel has the potential to cause further damage, creating even more space debris. With a large enough collision the amount of cascading debris could be enough to render low Earth orbit essentially unusable. The space debris problem is an issue that needs a worldwide cooperation to solve it. "No single nation can solve this problem on its own," Schonberg said. "All space-faring nations are engaged in addressing this problem using the best talents they have at their disposal." "The space debris problem is a multi-faceted problem, one that has technological, legal, financial, political, etc. issues that must all be addressed in any long-lasting solution. There is currently no 'one size fits all' solution to all aspects of the problem." Schonberg noticed.